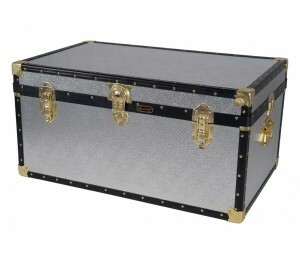 Traditional Storer storage trunk with central cabin lock. Stucco effect aluminium covering for that industrial look. Supplied with two keys. Approximate external dimensions 33" x 20" x 16". 173 litres capacity. 9kg in weight. Constructed from the highest quality 5.5mm plywood, which is bonded to a stucco aluminium. With a hinged stay lid, carry handles each end and two further pad-lockable catches . The interior is paper lined. Approximate internal dimensions 820mm x 495mm x 400mm. 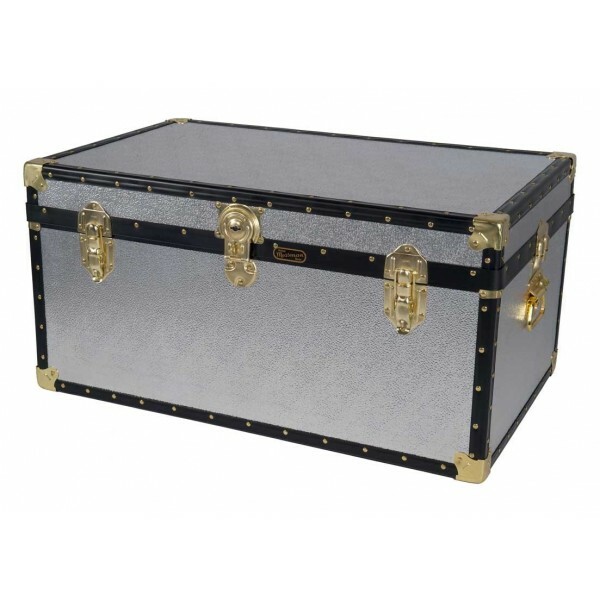 This storage trunk is an ideal otterman trunk for the bedroom and a prefered size toy chest for the kids. A selection or Padlocks and other accessories are available to buy on our website. 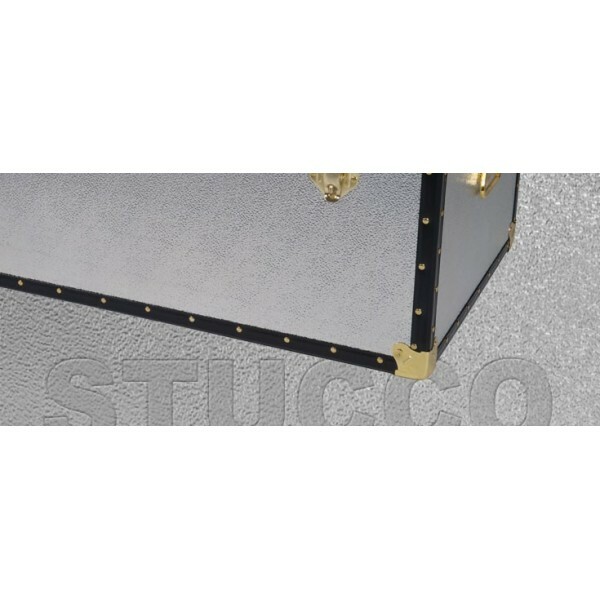 Click on the Accessories 'Tab' above to see the perfect accessories for this Trunk.